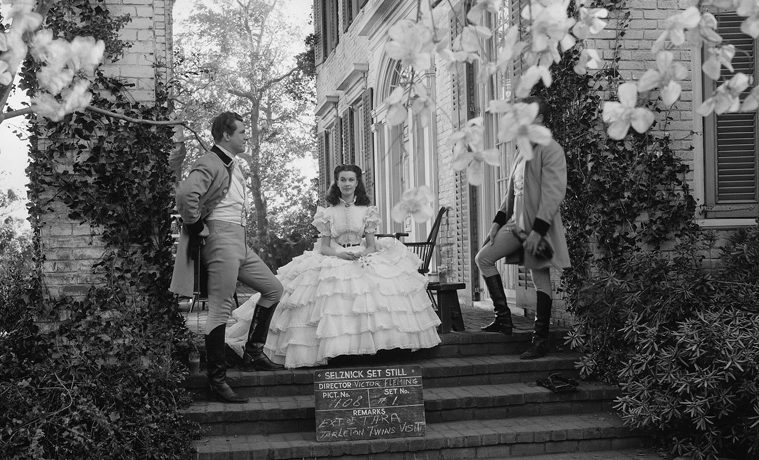 IMAGE ABOVE: Production still of Vivien Leigh as Scarlett and George Reeves and Fred Crane as the Tarleton Twins in Gone With The Wind. Image courtesy Harry Ransom Center. 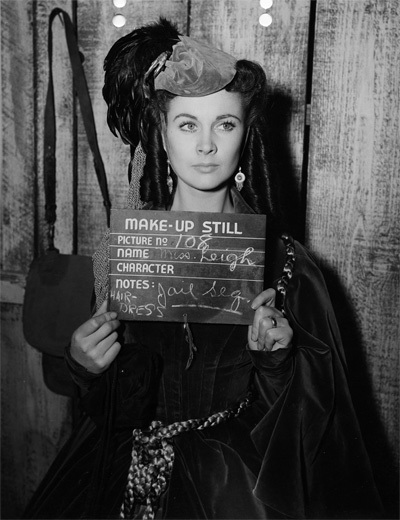 Makeup still of Vivien Leigh in Gone With The Wind. Image courtesy Harry Ransom Center. 1939 is routinely called one of the greatest years for movies in the history of filmmaking. It brought The Wizard of Oz, in all its candy-colored glory; It took us on John Ford’s Stagecoach in all its gritty, Western dust. We met—and bid goodbye to—Mr. Chips. We went with Mr. Smith to Washington, tramped the moors with Heathcliff and Catherine in Wuthering Heights and cheered as Shirley Temple’s Little Princess was metaphorically given back her crown. There was Bette Davis in Dark Victory, Basil Rathbone in The Hound of the Baskervilles, and Henry Fonda as Young Mr. Lincoln. And then, there was Gone With the Wind. 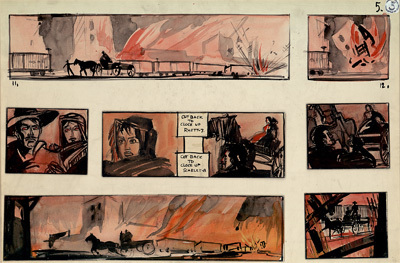 Storyboard depicting burning of Atlanta by Production Designer William Cameron Menzies. The gumption of the movie’s characters as well as of those who brought them to life on the screen is the subject of The Making of Gone With the Wind, a multimedia exhibit opening Sept. 9, 2014 and running through Jan. 4, 2015 at the University of Texas at Austin’s Harry Ransom Center. 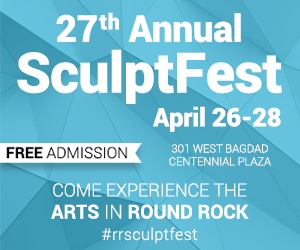 The Ransom is a major research center for the arts and humanities, with an extensive collection of rare books, manuscripts, photography, film and art. Public galleries house rotating exhibits and the permanent collection, which includes a Gutenberg Bible and the first photograph ever taken, while reading and viewing rooms allow scholars access to the Center’s papers and documents—including those of Gone With the Wind’s producer, David O. Selznick. 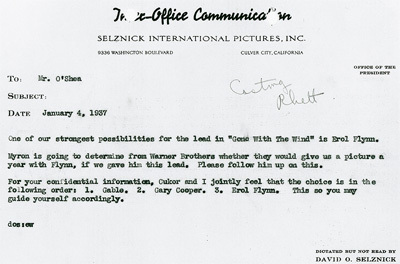 Gone With The Wind producer David O. Selznick’s Jan. 4, 1937, memo to Daniel O’Shea, noting that Clark Gable, Gary Cooper and Errol Flynn are top choices for role of Rhett. The Center acquired Selznick’s papers and documents in the 1970s, more than 5,000 boxes of them. Film curator Steve Wilson says the collection is in near-constant use. For The Making of Gone With the Wind, he and the Center staff culled through more than 40,000 pages of production notes and drawings, unearthing a treasure-trove for film lovers. 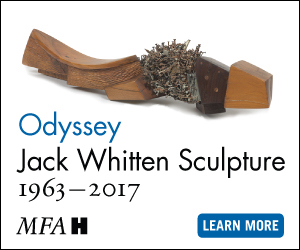 On display will be more than 300 rarely-seen production drawings and studio memos, story boards, correspondence and fan mail. In addition, nearly half a dozen costumes will be on view, including the famous green curtain dress worn by Vivien Leigh as Scarlett, as well as the red ballgown worn to Ashley Wilkes’ birthday party in Atlanta. Those costumes have been preserved, with help from a crowd-sourcing initiative. 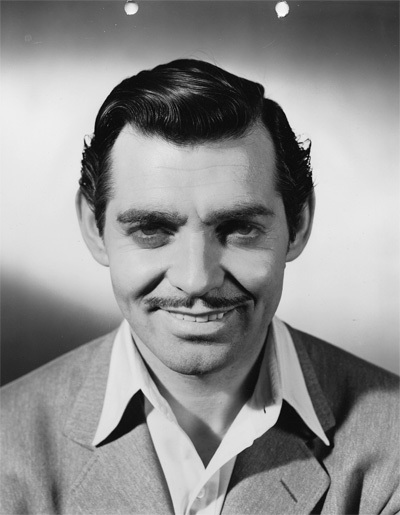 Makeup still of of Clark Gable. It was a major film event on every level: the book rights were bought for $50,000 – a record for the time; the production cost $3.7 million (equivalent to $61.6 million today), which was such an unheard-of amount that it contributed – along with production delays and multiple creative changes – to gossip rags christening the film “Selznick’s Folly.” It starred some of the biggest stars of the era, including Clark Gable as Rhett Butler and Olivia de Havilland as Melanie Wilkes; it was so groundbreaking technically that the Academy gave it special awards for use of color to enhance a dramatic mood and for overall technical achievement. 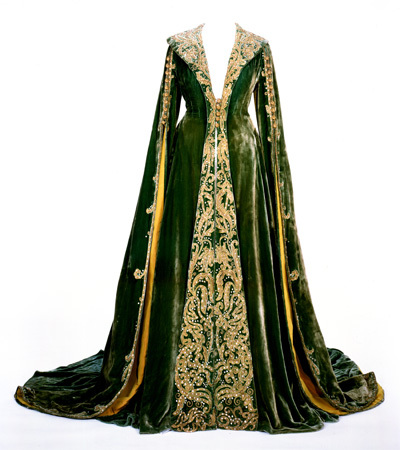 The green velvet dressing gown worn by Vivien Leigh as Scarlett O’Hara in Gone With The Wind. Wilson says the exhibit consumes all of the Center’s gallery space. 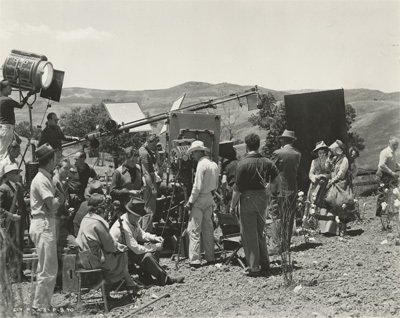 In addition to looking at the excitement of the movie’s casting (including Selznick’s famous search for Scarlett O’Hara) and the beauty of its sets and costumes, the exhibition also looks at deeper issues, such as race, which was a huge factor in both the movie’s production and in the U.S. at the time it was it made. Hattie McDaniel, portraying the O’Haras’ devoted Mammy, would become the first African-American to win an Oscar; she was not allowed to appear on stage with the rest of the cast at the Atlanta premiere because of the Jim Crow laws prohibiting African-Americans from mingling with whites. Then, there were the Hollywood censors, who repeatedly dogged Selznick around the movie’s depictions of childbirth, slavery, and swearing (Selznick paid a fine to have Gable deliver Rhett Butler’s iconic kiss-off to Scarlett: “Frankly, my dear, I don’t give a damn”). Film crew for the cotton field scene. Tracing the timeframe from the purchase of the book rights through production and to the 1939 premiere, “The Making of Gone With the Wind” offers a titanic tribute to what it took to bring Mitchell’s Pulitzer Prize-winner to life. The Ransom Center and the University of Texas Press also produced a coffee table book called “The Making of Gone With the Wind”. The 335-page companion to the exhibit is available for sale through the Center and includes photos, production sketches, memo excerpts and curating notes written by Wilson, leaving little doubt about the importance of Gone With the Wind in the annals of film history.